Online Features: Website  Download figures from the book, reference list linked to Medline. The first edition of Mark Ptashne's 1986 book describing the principles of gene regulation in phage lambda became a classic in both content and form, setting a standard of clarity and precise prose that has rarely been bettered. This edition is a reprint of the original text, together with a new chapter updating the story to 2004. Among the striking new developments are recent findings on longrange interactions between proteins bound to widely separated sites on the phage genome, and a detailed description of how gene activation works. The clarity and care of A Genetic Switch and its organization is a paradigm for communicating the structure and behavior of complex regulatory systems such as lambda. Periodic update of a book like this is important as a reminder of the level of our understanding of a system, in this case lambda, and of how we achieved that understanding. This current edition of The Genetic Switch is compelling both because of the new information it contains and because the lessons of the 1986 version are timeless. 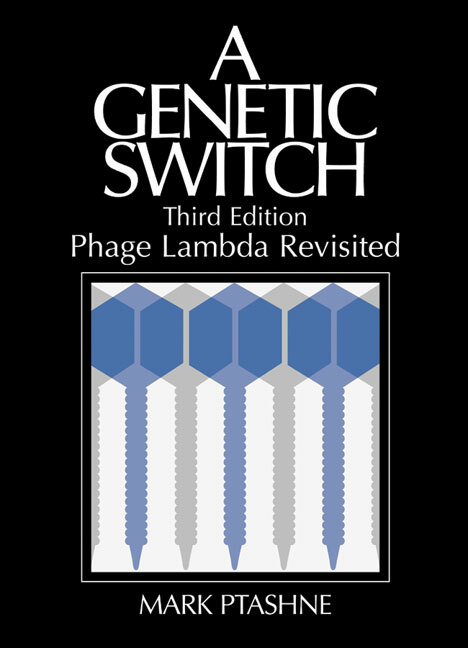 Undergraduates, computermodelers, bioinformaticians, bacterial pathologists, teachers, recombinant DNA technologists, developmental biologists, and even experienced lambdologists should be inspired by The Genetic Switch; some will want to teach from it, and all will learn from it.